As you fill out a ServiceMaster application, know that you’re applying to join a company that wants the best team to serve their customers. In order to do that, they offer great opportunities, compensation packages, and advantages. Links to apply for jobs at ServiceMaster are at the bottom of the page. Founded in 1929 by minor league baseball player Marion Wade, the company began franchising out their carpet cleaning business in 1952. During the 1980s, ServiceMaster grew and expanded their franchises and segmented their businesses into Terminix, Merry Maids, and American Home Shield. 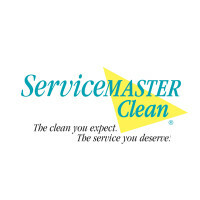 In 2001, ServiceMaster made the executive decision to turn their attention to their commercial and residential businesses instead of their management services. In 2007, company headquarters were moved from Downers Grove, Illinois to Memphis Tennessee, in order to help corporate staff members work with businesses. Those with ServiceMaster careers know that they are a part of a huge family with over twelve thousand employees and over seven thousand franchises country wide. On a yearly basis, ServiceMaster services five million customers and visits at least seventy thousand homes every year. There are some positions available at the corporate level in Memphis, Tennessee. Most of the open positions will have to do with helping new and old franchise owners to either get their business off the ground and develop a customer base, or to keep expanding their customer base and finding new ways to do that. Most ServiceMaster jobs are available at the local level in franchises. All applications for the franchises go through the corporate website, even though employees work specifically with the franchisee. Make sure as you look at positions, that you make sure you’re actually applying for ServiceMaster all subsidiaries are listed on the same website. This company does all local business through franchise owners. A link for more franchise information is at the bottom of the page. All franchise owners get aid from the corporate office as they strive to start their business, with financing coming from ServiceMaster Acceptance Company, a subsidiary of the company. How old do you have to be to work at ServiceMaster? Age requirements vary by job. However, as you look at ServiceMaster jobs online, make sure to read all the job requirements as some positions will require that you have various degrees, certifications, or experiences. Service Manager – You will monitor, direct, and motivate staff to give quality service in a timely manner to all customers. By maintaining a well-trained crew, you’ll keep customer complaints to a minimum. Compensation is around $25,000 a year. Exclusion Technician – By removing animals from customer’s homes, you’ll work to return the animals to the wild. Knowing how to safely set up live traps is mandatory as you’ll also have to work with federal, state, and local regulations to legally take care of all the animals. Compensation is around $30,000 a year. Technician/Termite Assistant – Making sure that various sites are clear before dealing with termite infestations is a major part of this job. You’ll also assist in the application of chemicals and then help with the clean up all while maintaining safe working conditions for the machinery. Compensation is around $25,000 a year. Laborer – Repairing is what this job is all about. You could be working in water, fire, smoke damaged, or mold damaged houses and getting them back to their former glory. While you’re working, you will make sure that all equipment is working safely and properly. Compensation is around $23,000 a year. Why do you want to work for ServiceMaster? This is an extremely common interview question, so you should be prepared for it. Talk about what drew you to the company, whether it was the company benefits or culture and why it’s your first choice in places to work. What experience do you have? If you have any relevant experience, highlight it. If you don’t have experience, as some jobs don’t require it, talk about what you can bring to the job and can offer the company. Make sure to have plenty of examples to back up your claims. Where do you see yourself in the next few years? Your interviewer wants to know if you see yourself with the company. Be realistic in your career expectations, making sure to talk about how you’re willing to take on extra challenges and responsibilities in order to move up in the company. As this company is geared towards customer service, you may be asked this question in the form of a hypothetical situation: How would you take care of an upset customer? Be practical and realistic in what you can do to turn a customer’s experience around. Make sure to explain the logic behind your choices. If you’ve applied for a position that requires you to drive from place to place, you will probably be asked this question: Do you have a valid driver’s license and a good driving record? Make sure to be honest as company is checking to make sure that you are a good driver and will get to your destination safely. How to apply for ServiceMaster online: select the first link below and search for the job that you’re interested, in the region that you’re interested in. Then fill out a ServiceMaster application and send it in. If you’re interested in becoming a franchise owner, click the first link and then follow the instructions. There is no printable application for ServiceMaster. Before attending your interview, do research on ServiceMaster and the industry in order to have a list of questions prepared that you can bring with you to the interview. This may seem excessive for an entry level position, but it will show that you’re prepared and willing to work hard for the job. Have a positive and friendly attitude the day of your interview, as it will give your interviewer a positive impression. The interview will be in a formal setting, so dress appropriately in business casual at the very least. If you’ve applied for a managerial position, a suit would be more appropriate. Make sure to show gratitude at the opportunity to interview with ServiceMaster. Afterwards, inquire about the best way to check on your hiring status because few applicants learn if they get the job during the interview, as ServiceMaster will want to screen all candidates before making a final decision. Petco: Checkout the application page for work at Petco. Caterpillar: Caterpillar offers opportunities for both, beginners and experienced roles. Supercuts: See our resource page for more information on Supercuts careers. Kids R Kids: Kids R Kids offers opportunities for both, beginners and experienced roles. Childtime Learning Center: Childtime Learning Center offers opportunities for both, beginners and experienced roles.